The circuit is located in the southern part of the municipality of Acquarossa, in the middle of the Valle di Blenio, a flat expanse surrounded by impressive rough and jagged reliefs with emotional impact: a particular atmosphere that unites noteworthy natural and cultural qualities. Leaving the quiet village of Dongio, you head south along a peaceful hiking trail that follows the foot of a steep rock face to which a very special construction clings, the «Casa dei Pagani». Built in the Middle Ages as a protection against enemy attacks, these unique fortifications stud the entire Valle di Blenio. Further south, you skirt the village of Marogno, with its traditional buildings like the Gatti houses, a notable example of 19th century architecture built by valley dwellers who had emigrated to make their fortunes as ice-cream manufacturers in London. Shortly after Morogno, you arrive in Motto from where, with a brief diversion, you can reach the church of San Pietro nearby: one of the most notable examples of Romanesque architecture in Switzerland. Now following a cycle path along the site of an old railway line between Biasca and Compravasco, you return to Dongio from where you can complete the excursion with a visit to the church of San Remigio: another jewel of the Ticino Romanesque period. The entire route takes place on well-constructed tarmac byroads. It features gradients of up to 6%. However, at San Remigio chapel at km 4.8, there is a gradient of 10% over a distance of 30 m. At km 1.6 in the Motto district, visitors must cross a busy main road without a pedestrian crossing. This requires caution, but the road is visible in both directions. 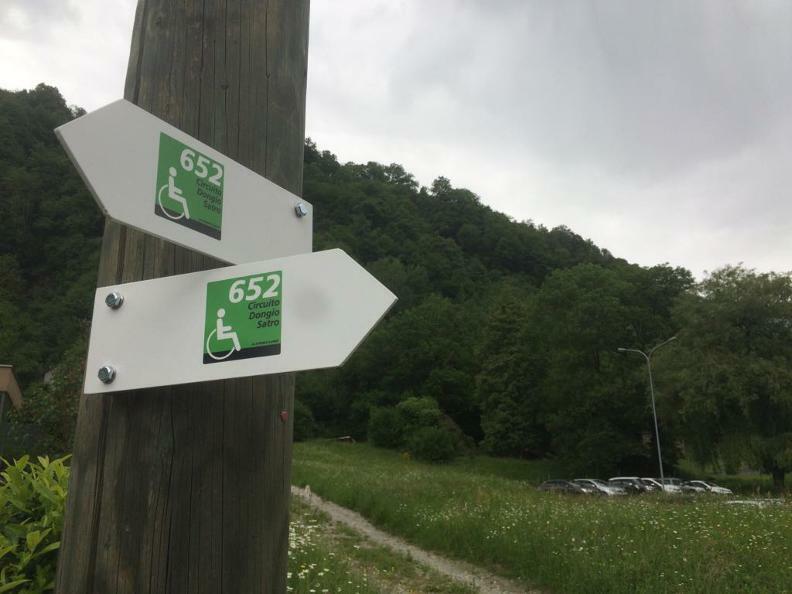 The SBB-recommended route via Biasca is not possible, as it is not possible for wheelchair users to leave the train at Biasca. Instead, visitors can leave the train at Bellinzona station and then take the bus (number 191) to Biasca, change to another bus (number 131) in the direction of Olivone, Petullo and get out at Dongio, Municipio. Linie 191: Auto Postale, Tel. 0840 852 852, Linie 131: Autolinee, Tel. 091 862 31 72. 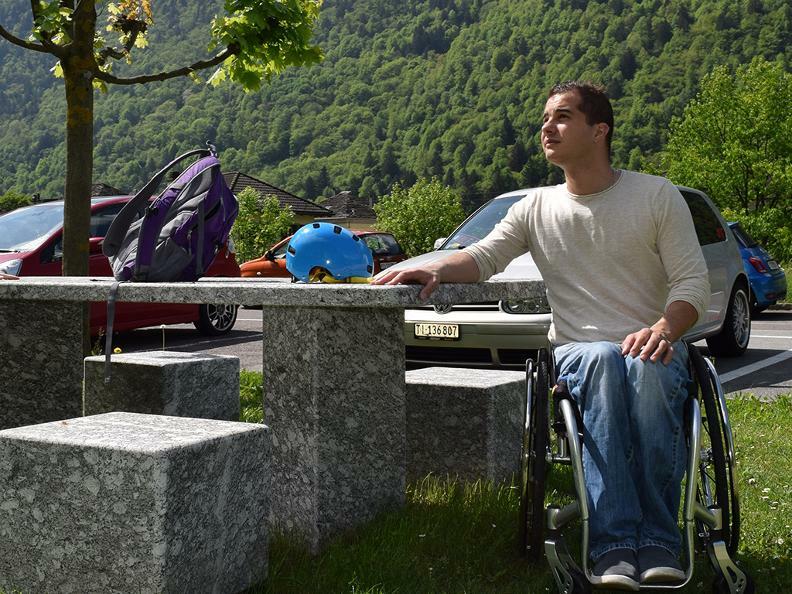 A large car park with one parking space for wheelchair users is available at the municipal office in Dongio, next to the start and finish point.